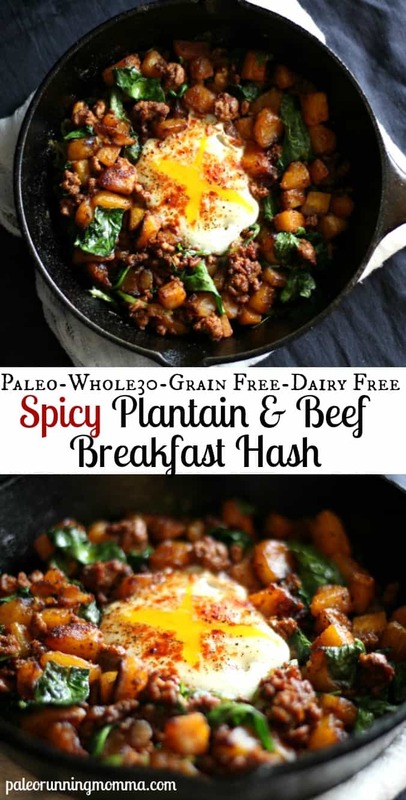 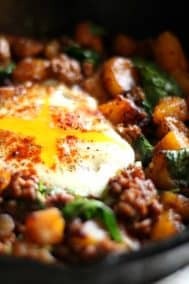 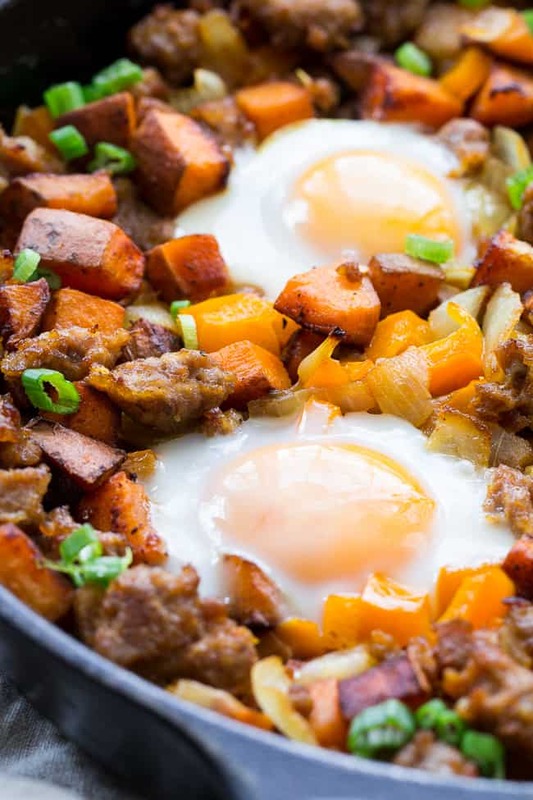 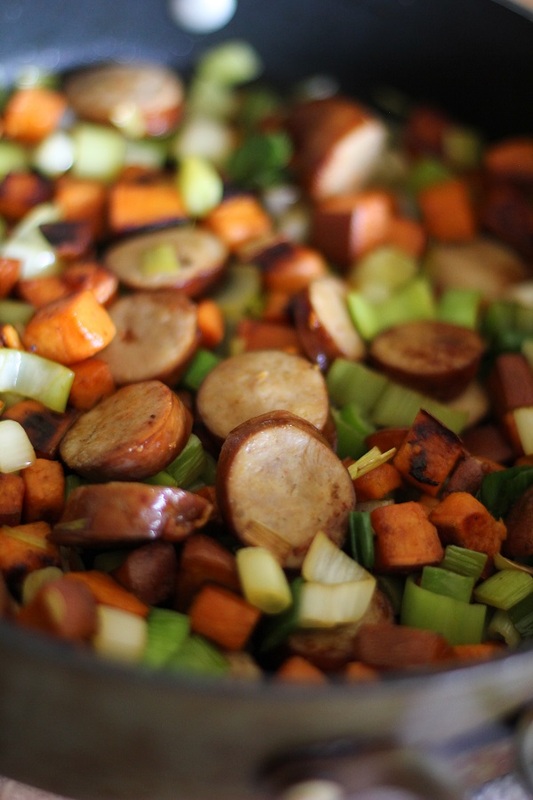 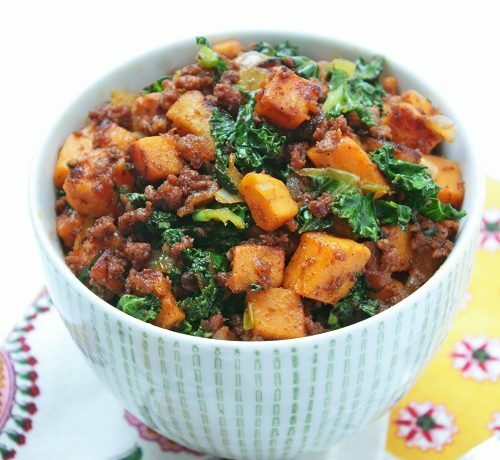 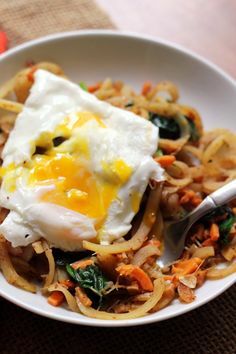 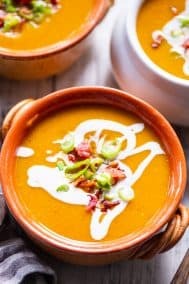 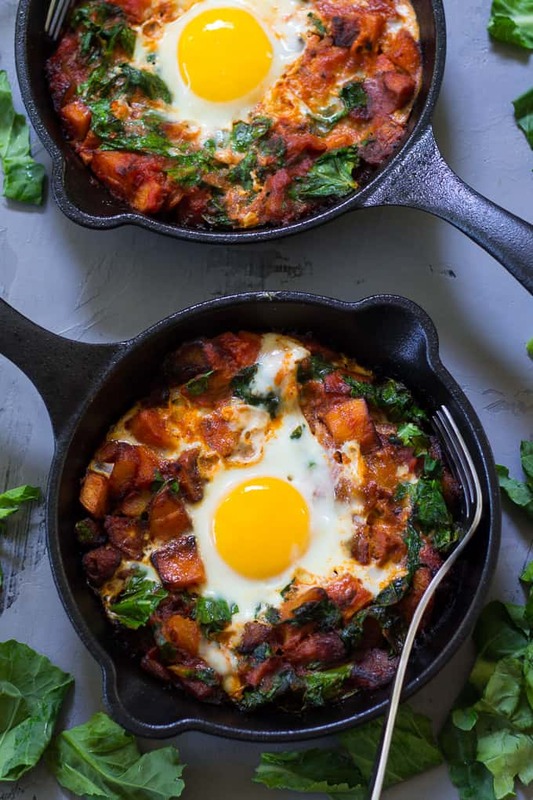 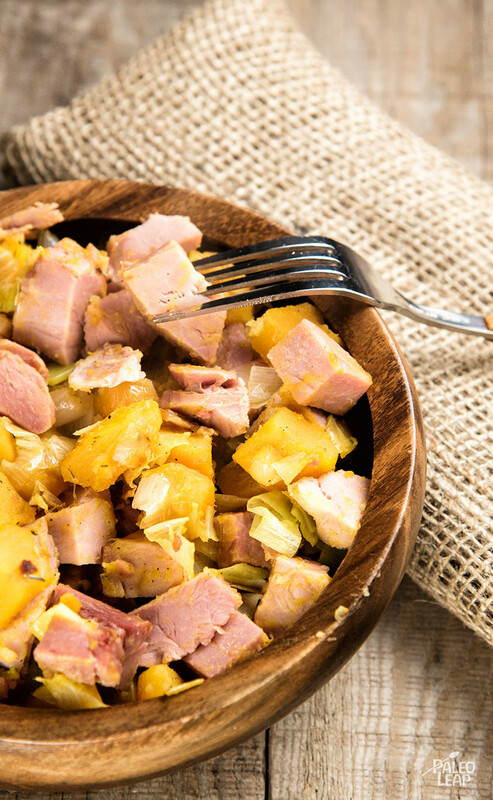 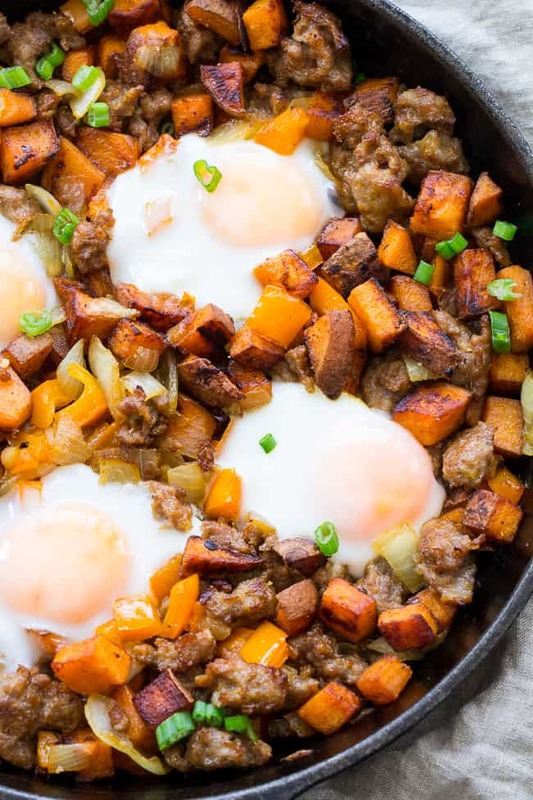 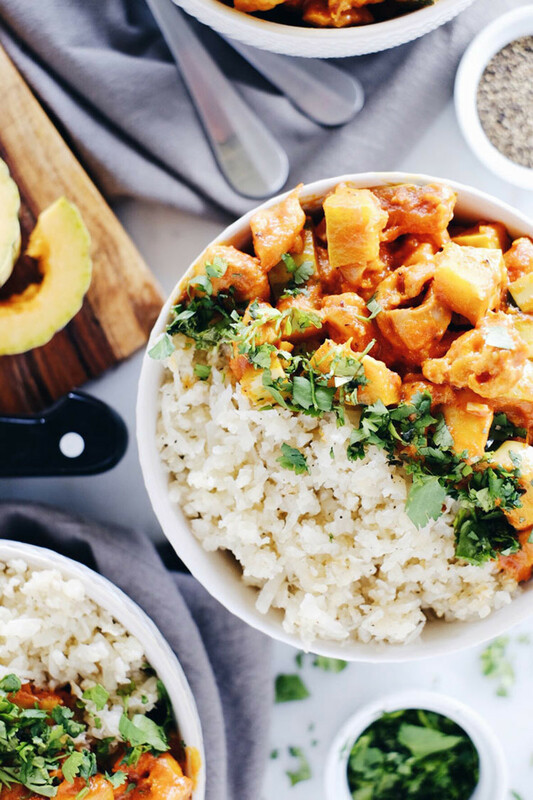 If you've been following me for awhile, you'll know I'm talking about the epitome of paleo comfort food – the sweet potato hash. 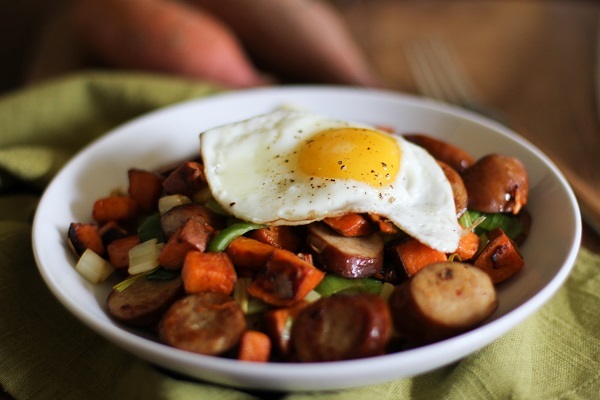 Guys, I wouldn't want you to forget about my undying love for sausage. 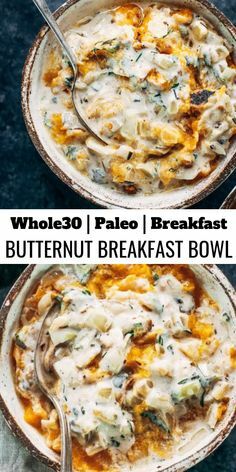 Without it, half my recipes wouldn't exist in the first place. 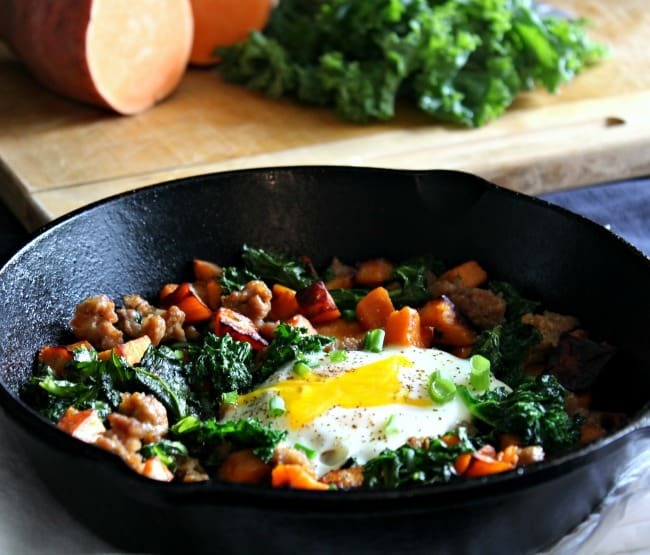 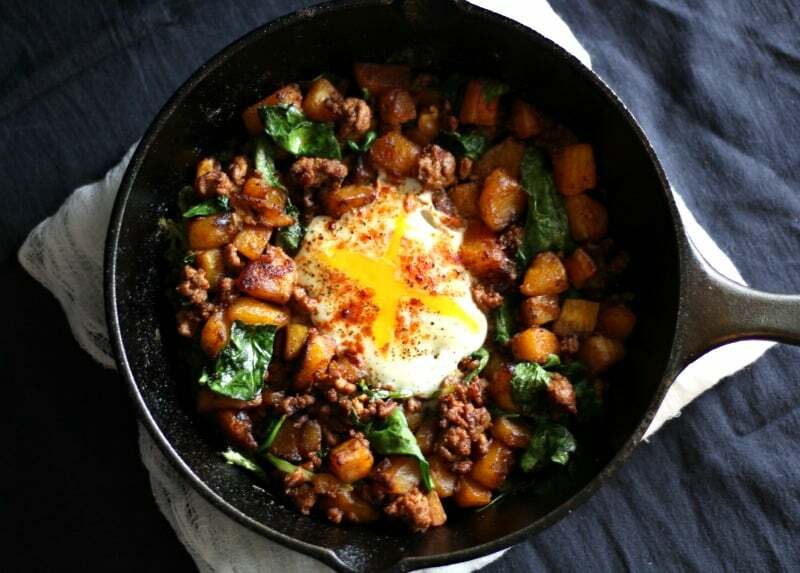 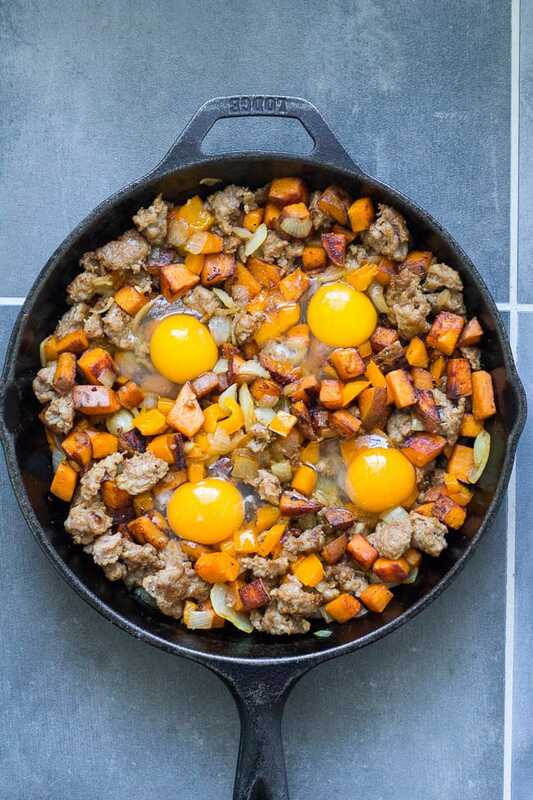 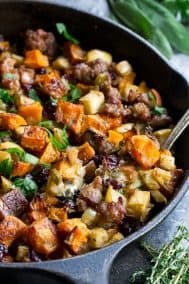 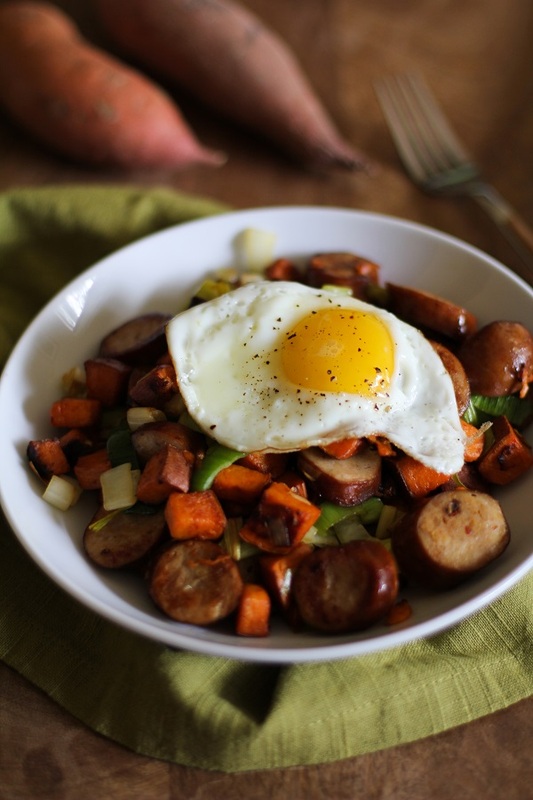 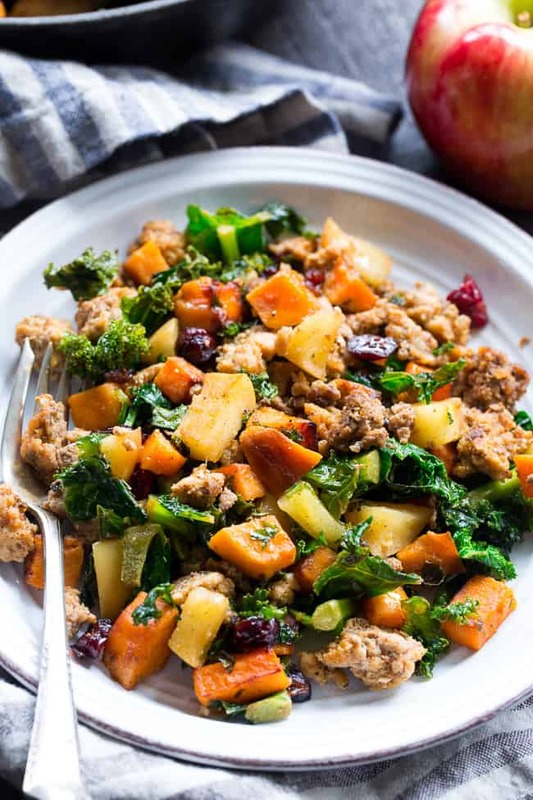 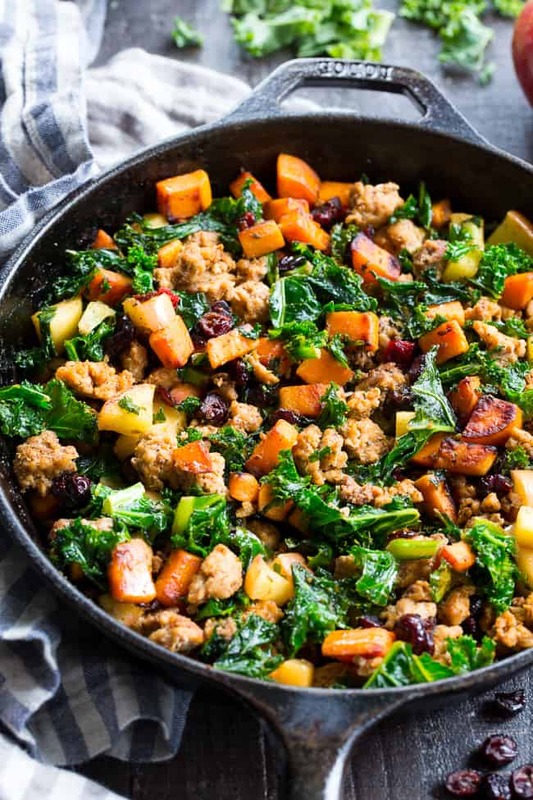 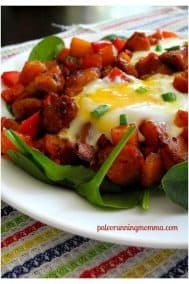 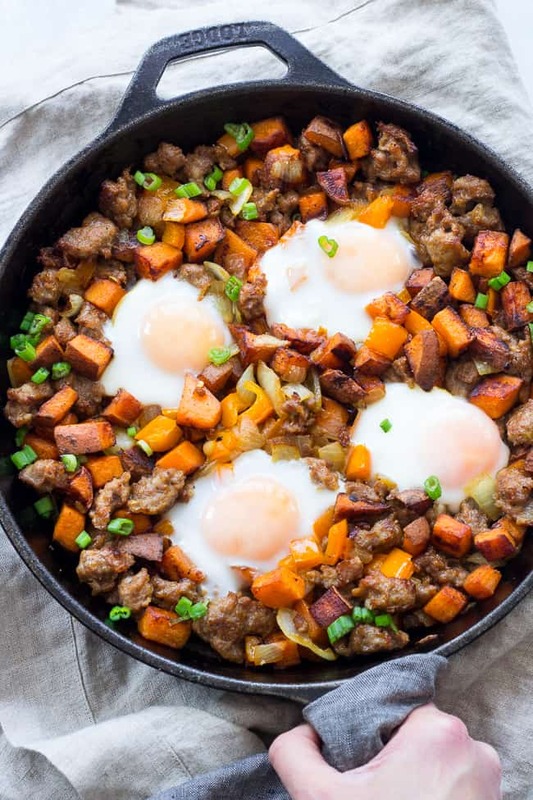 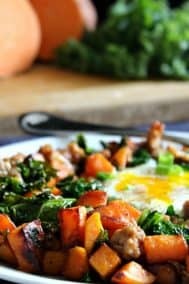 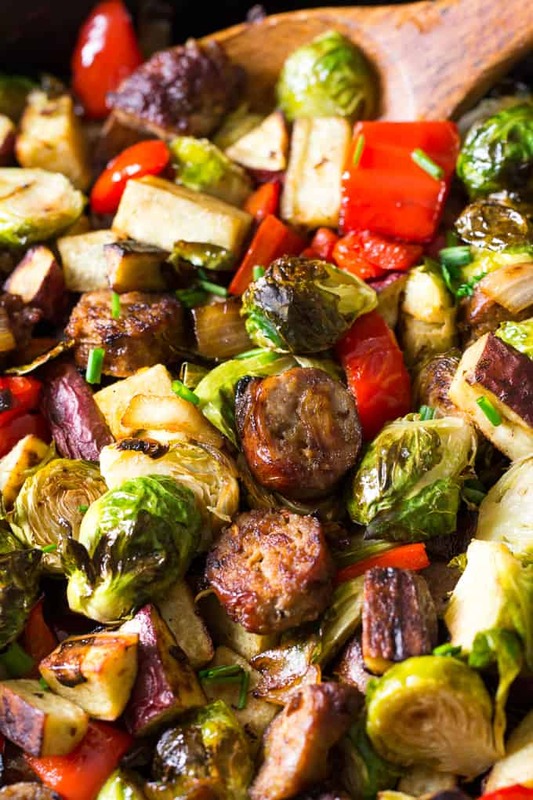 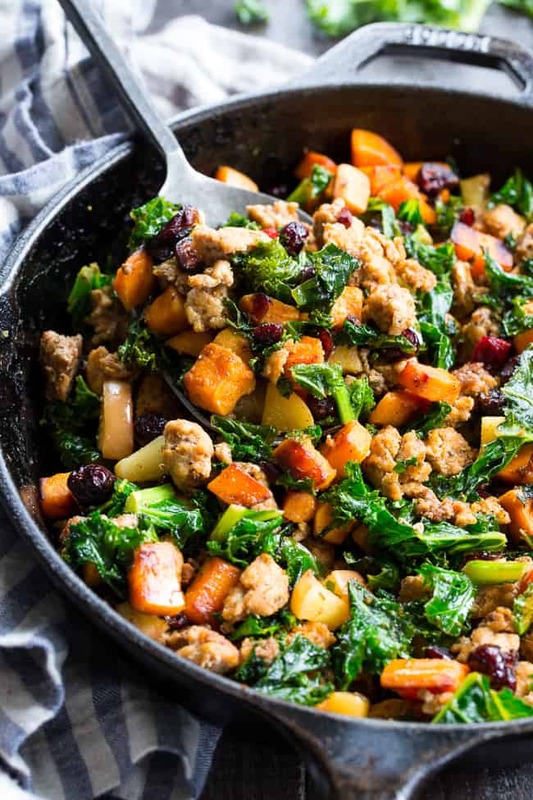 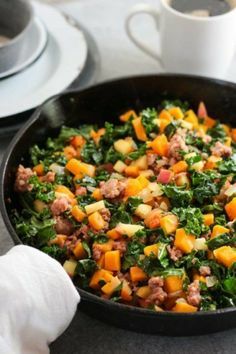 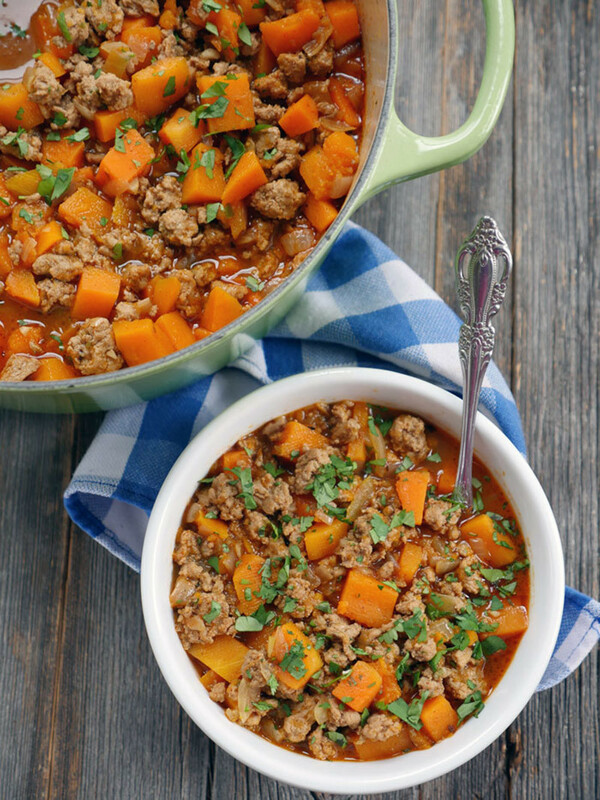 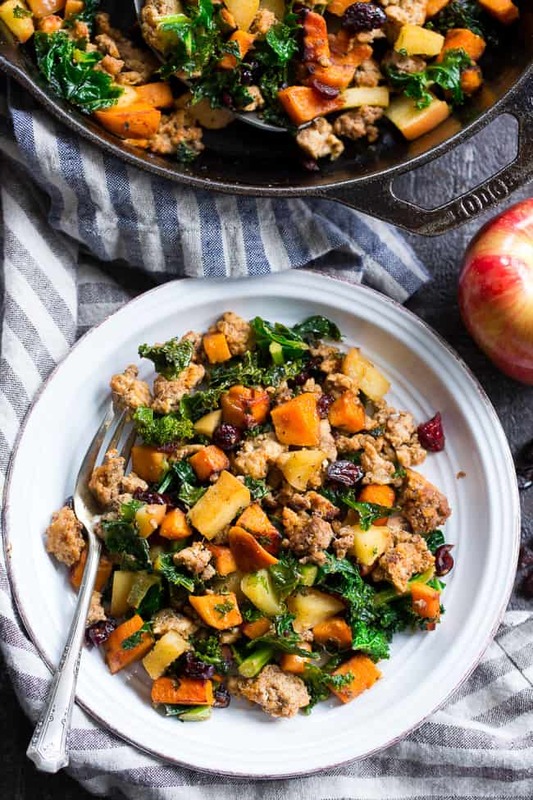 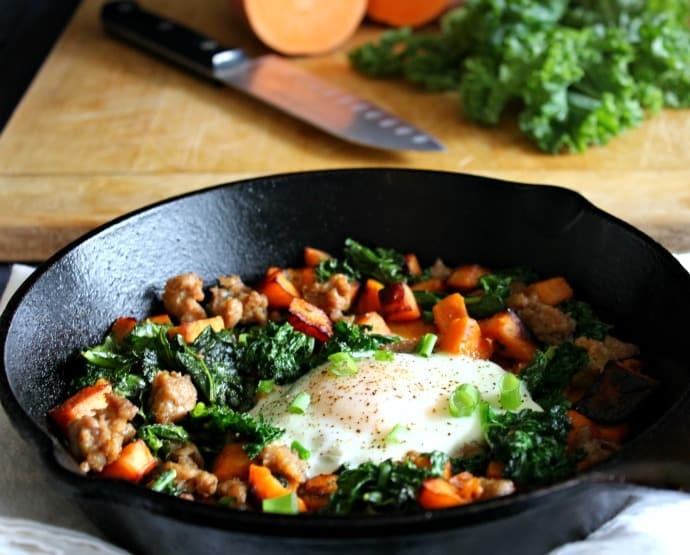 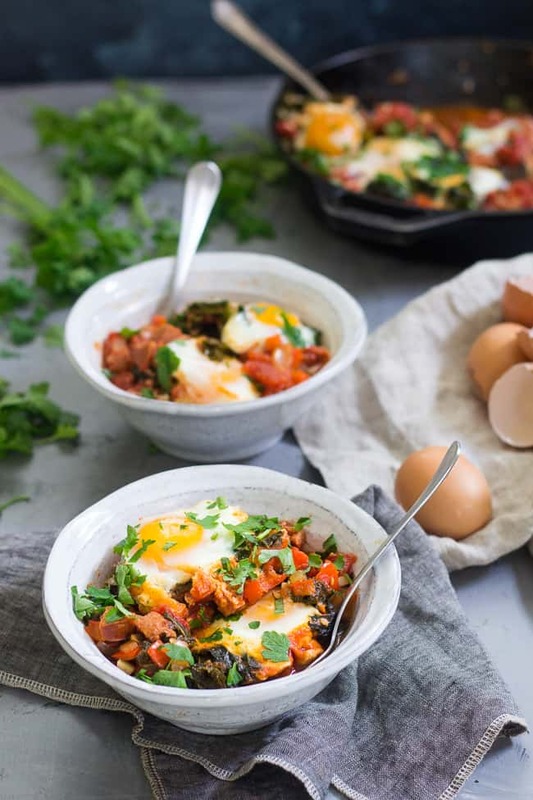 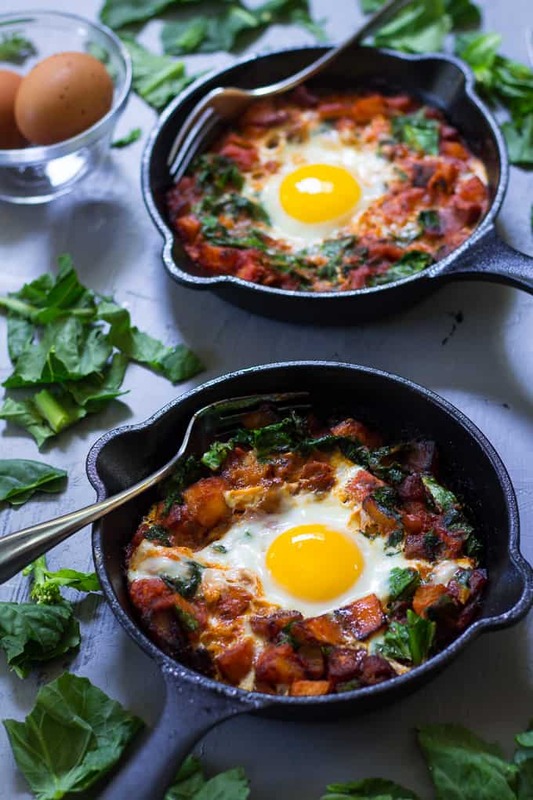 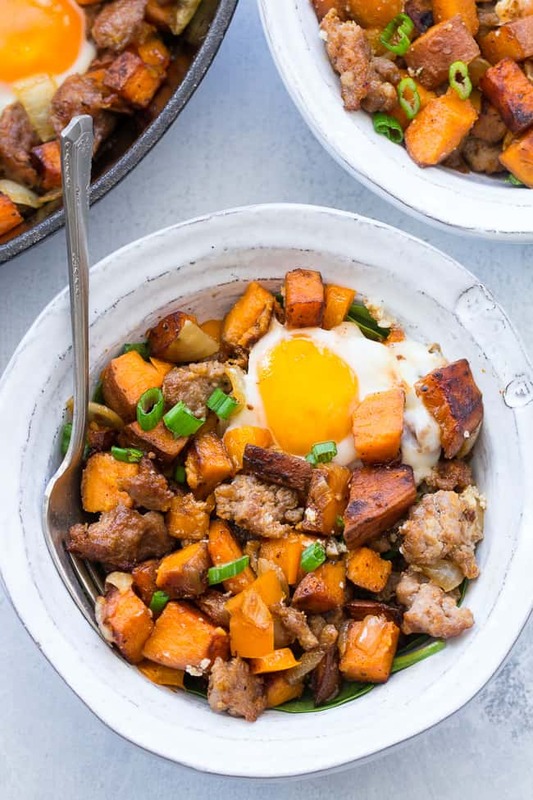 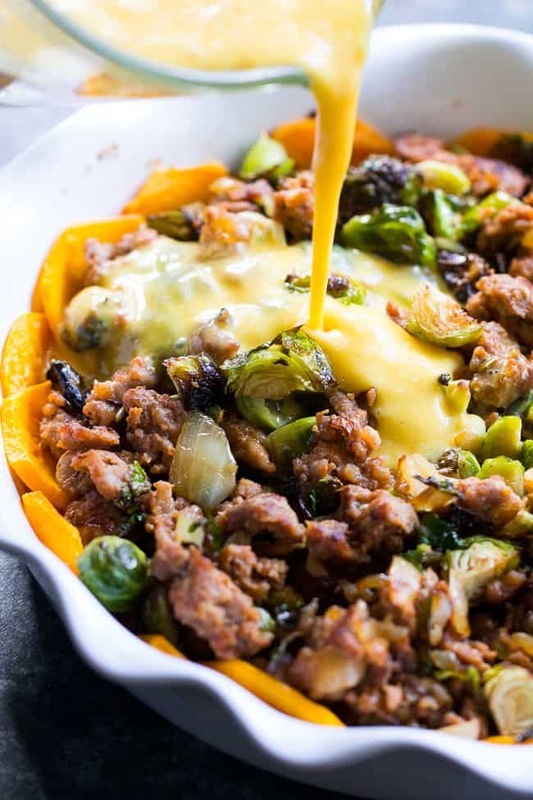 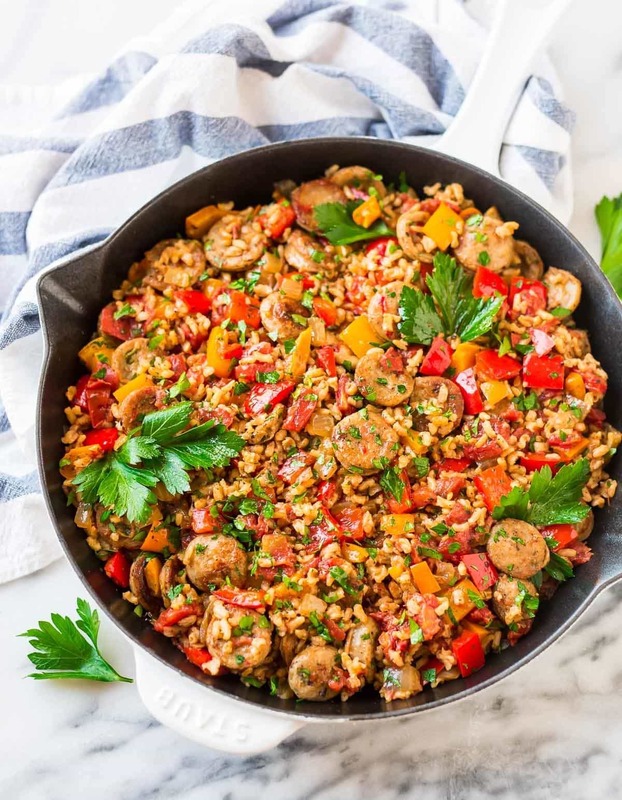 This Whole30 and paleo sausage sweet potato veggie skillet is easy to make, great for lunch, dinner or topped with fried eggs for breakfast! 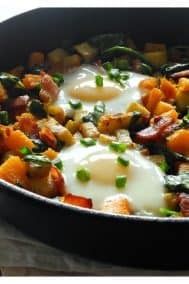 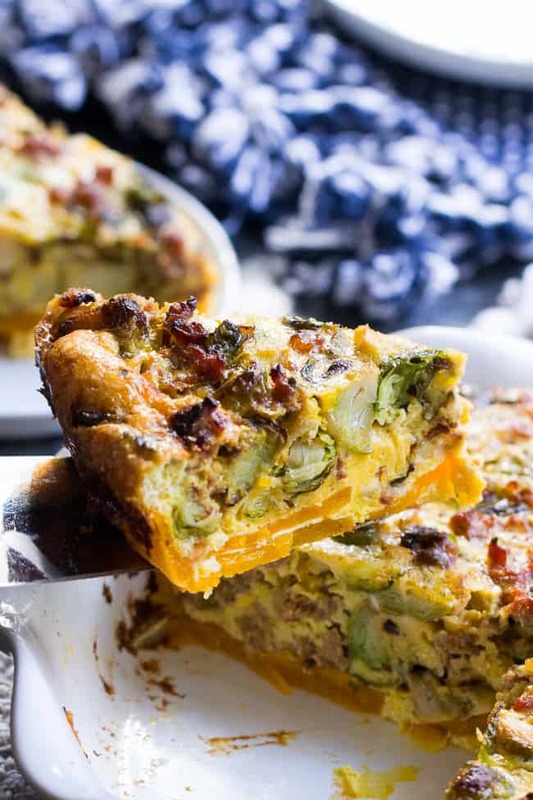 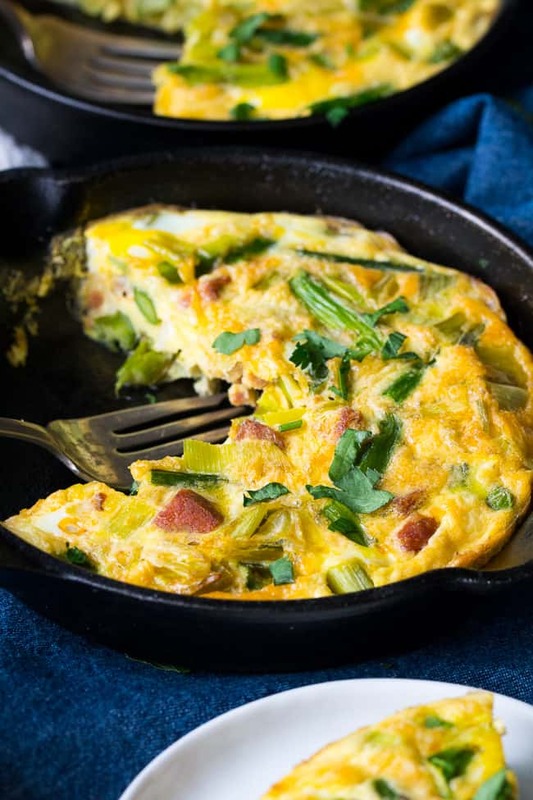 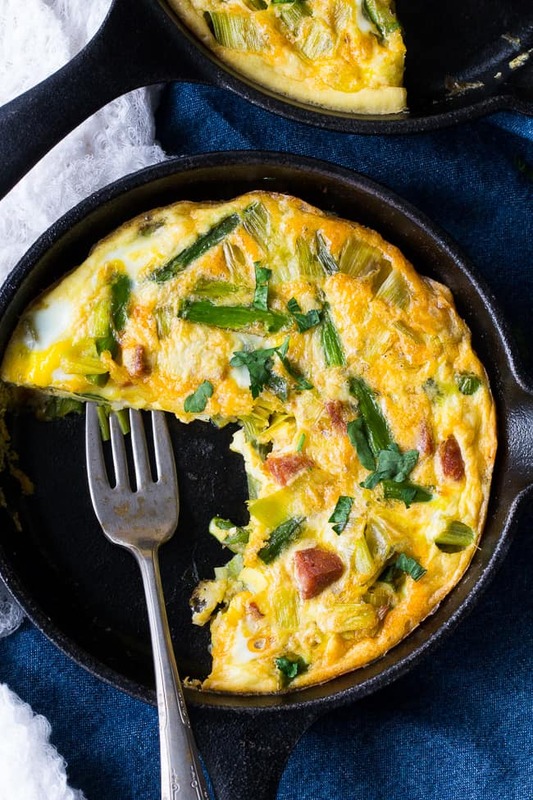 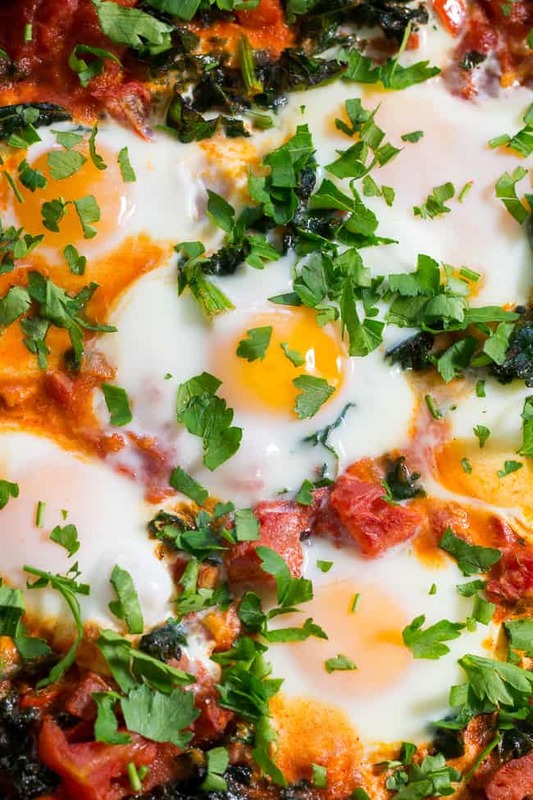 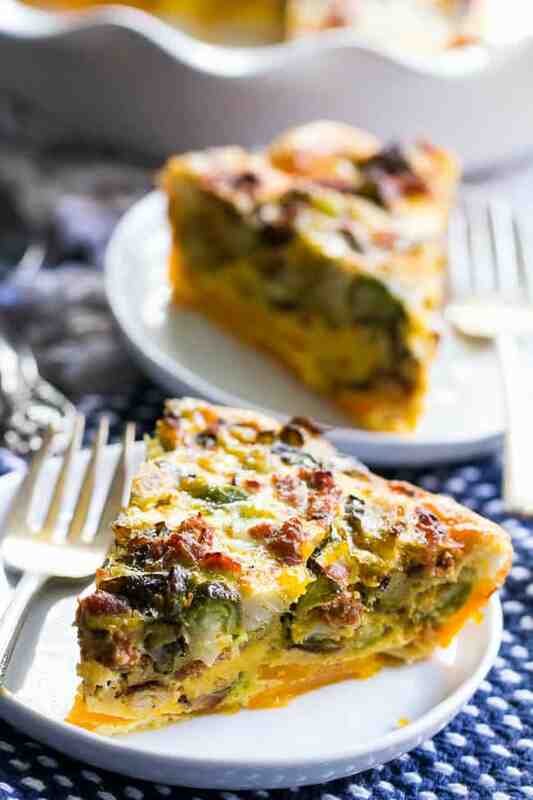 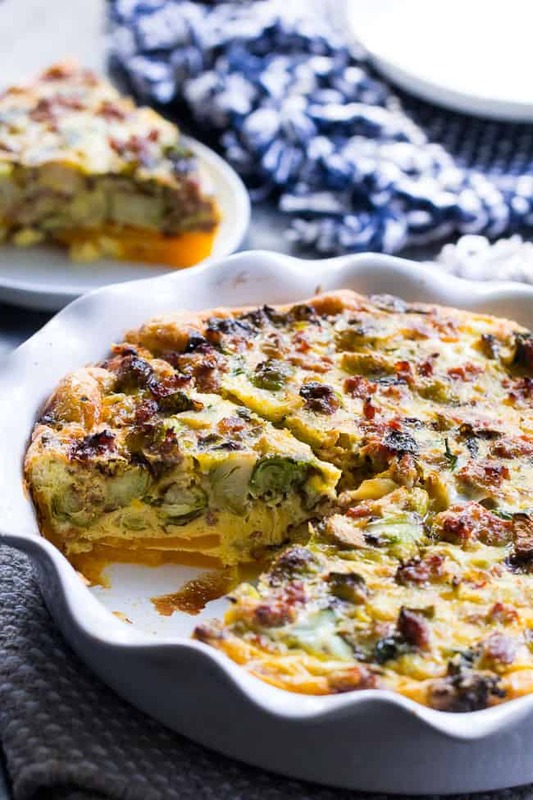 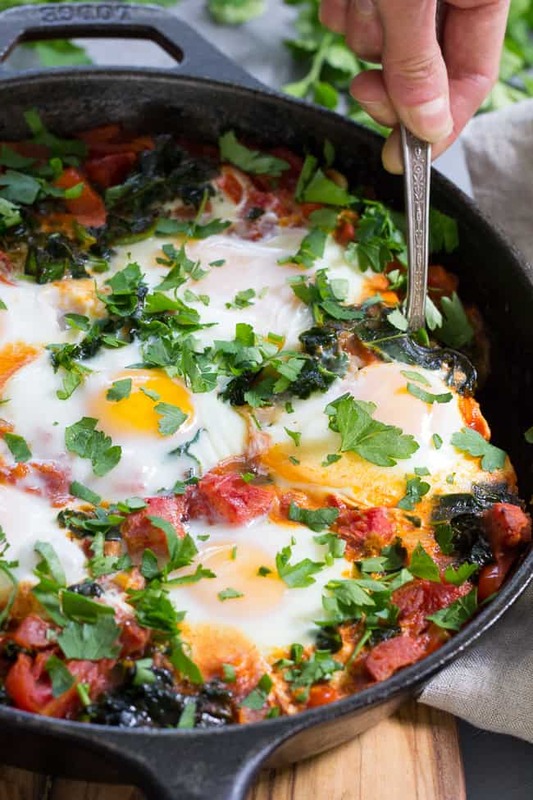 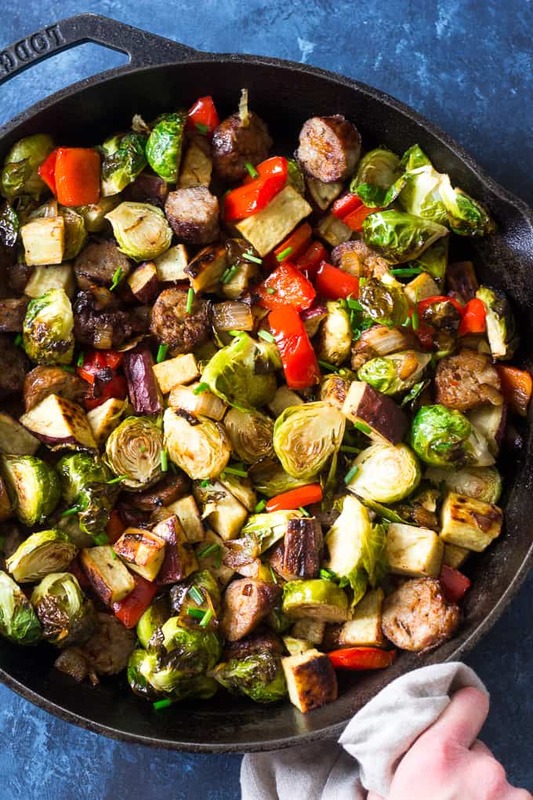 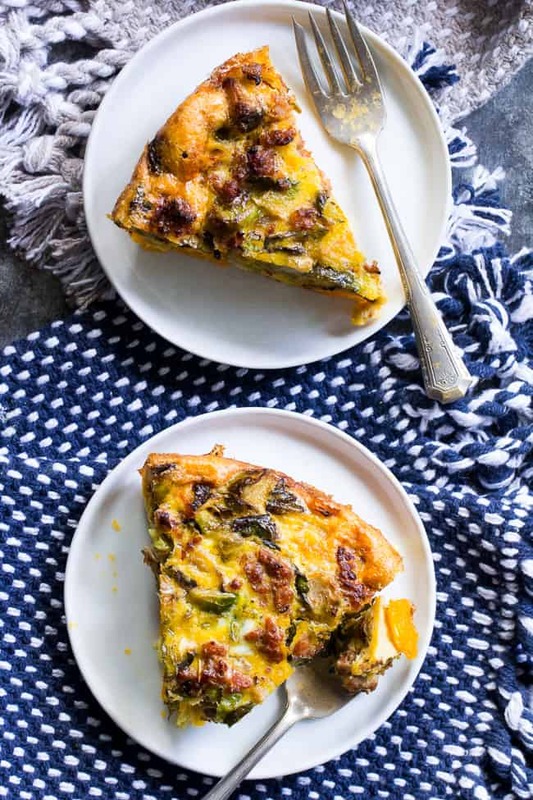 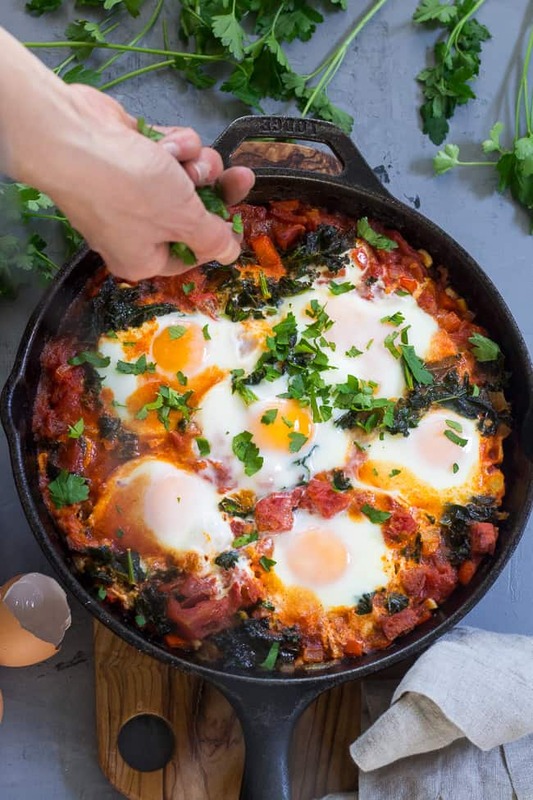 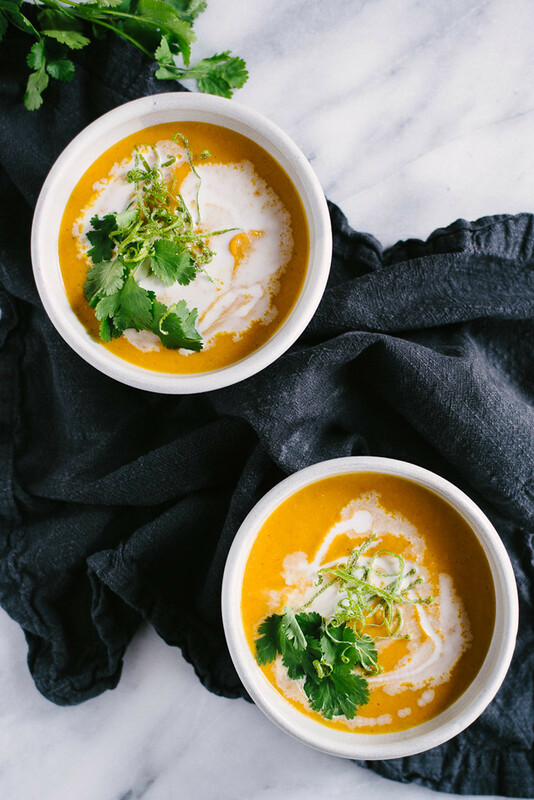 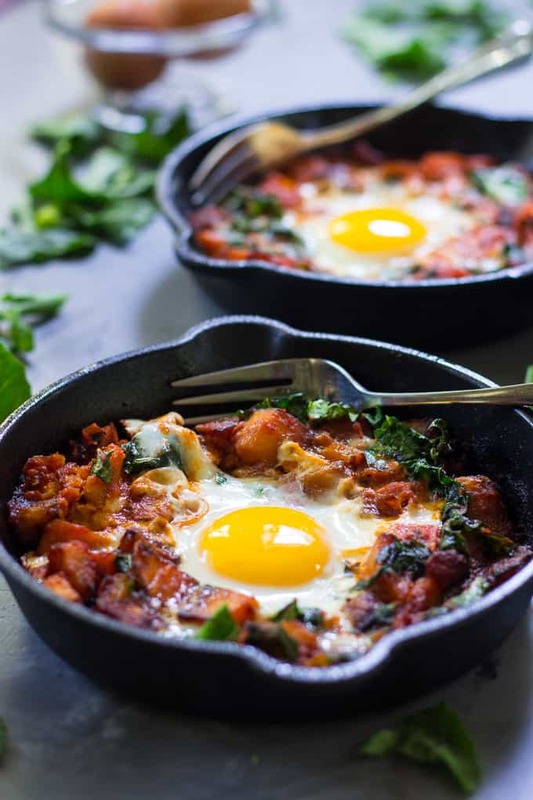 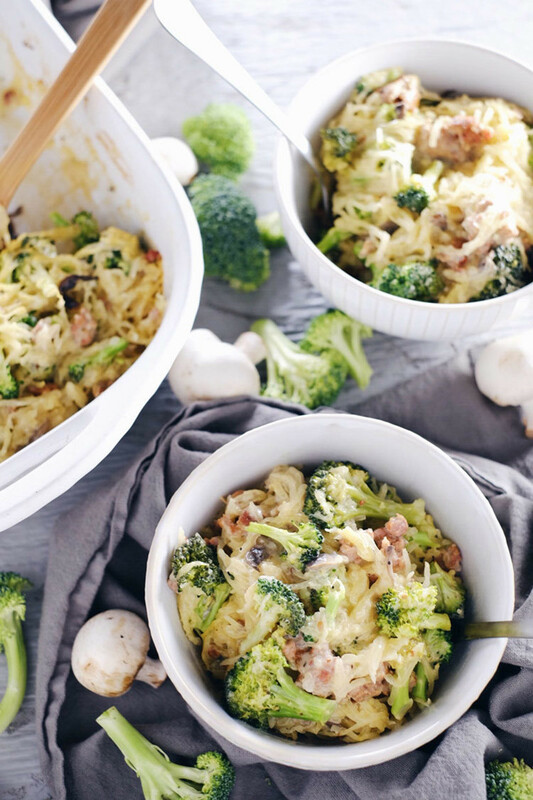 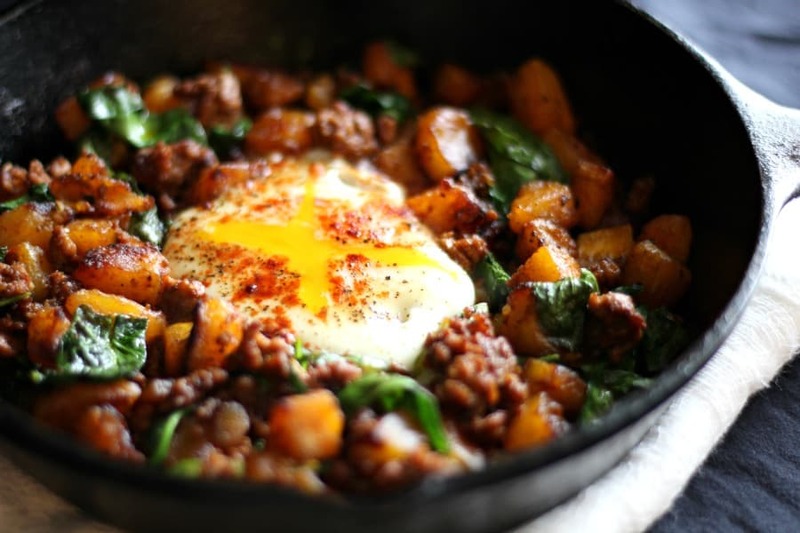 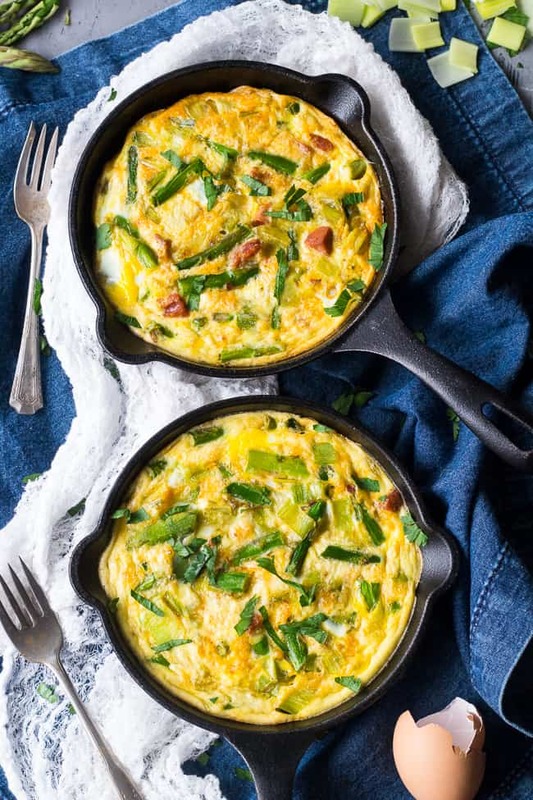 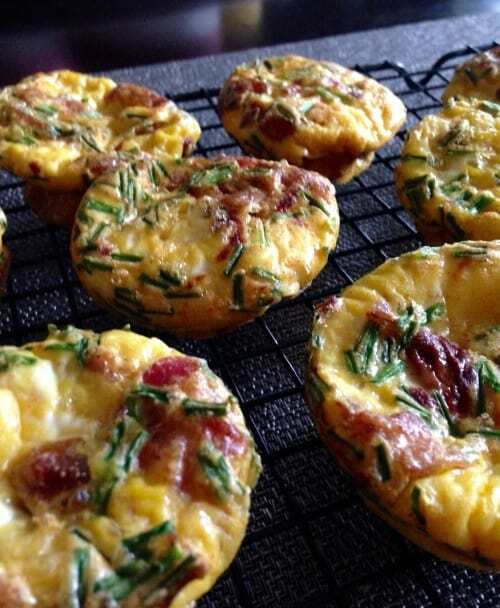 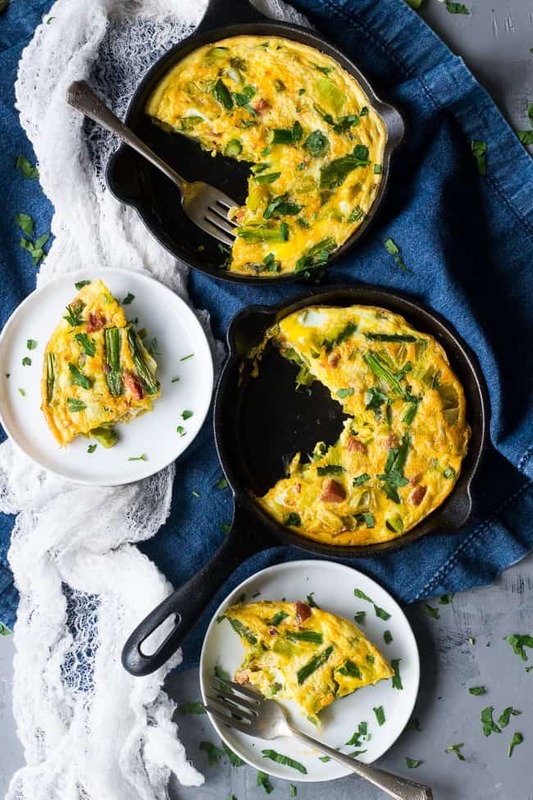 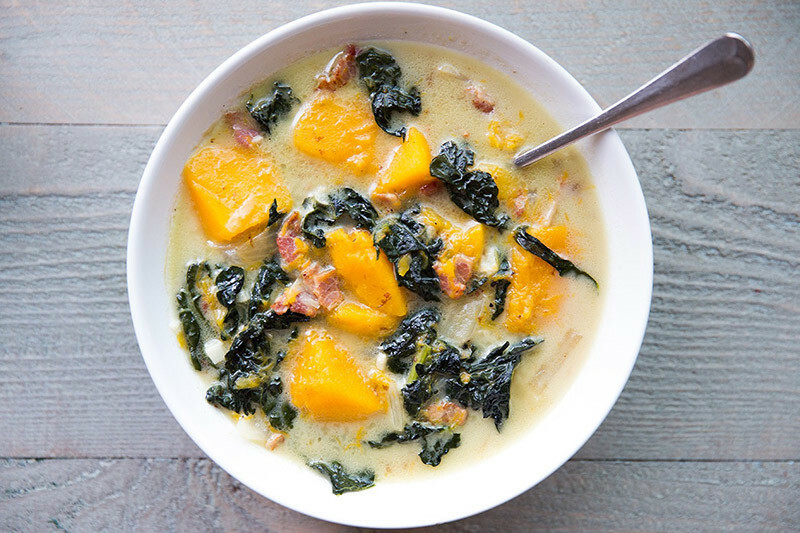 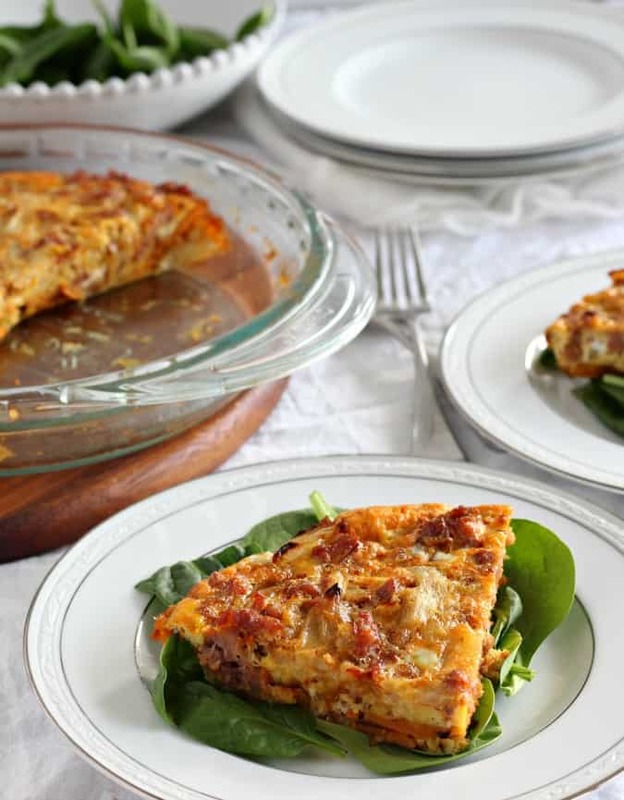 This is one of those meals that works any time of day, and trust me, I've sometimes eaten a hash for every meal because they're just THAT good. 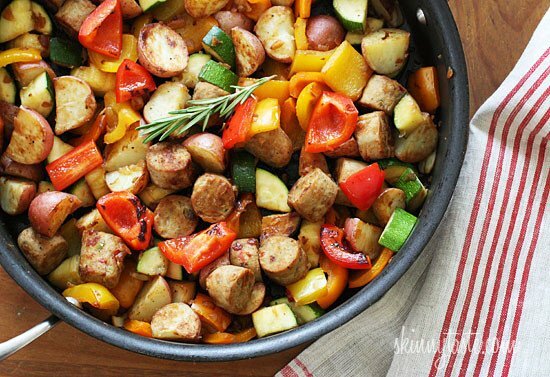 Now, sausage is a-whole-'nother story. 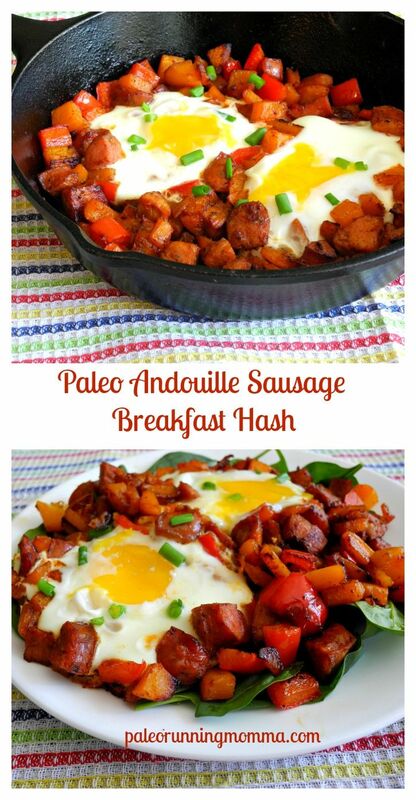 I've been a longtime sausage lover, so, I HIGHLY leaned on it when starting out with the paleo diet. 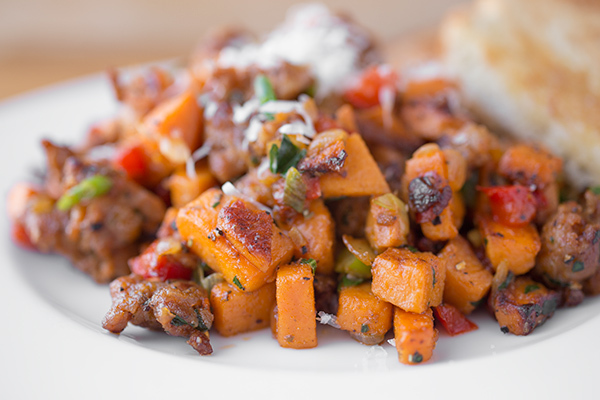 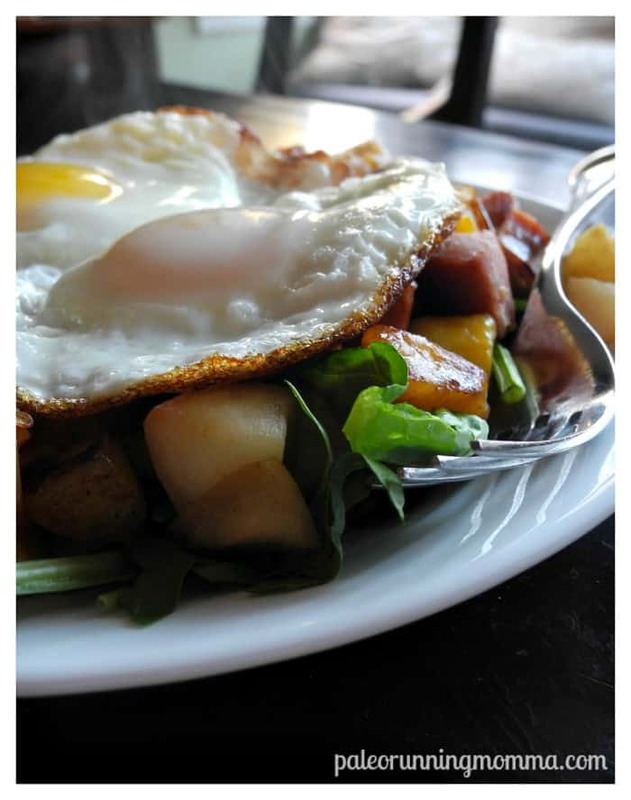 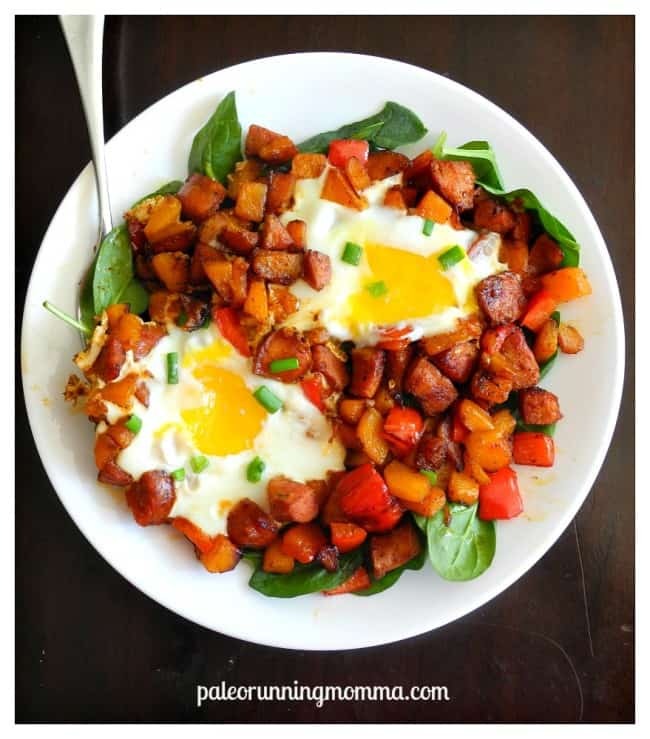 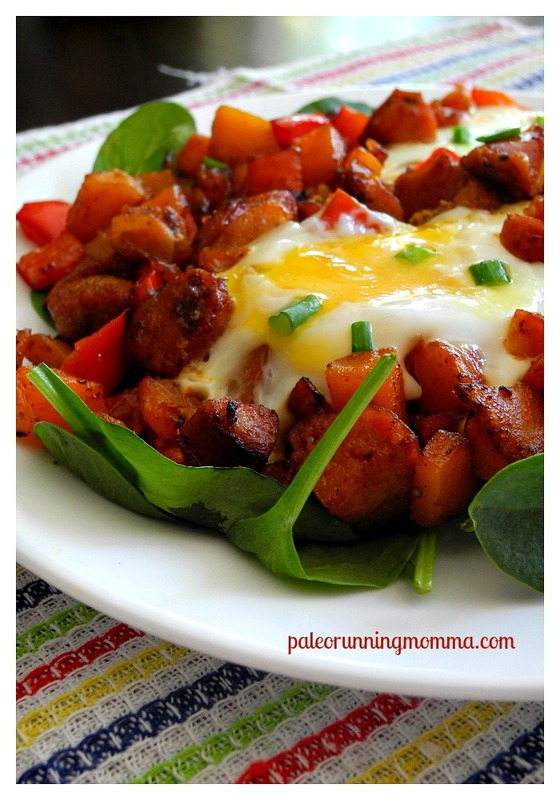 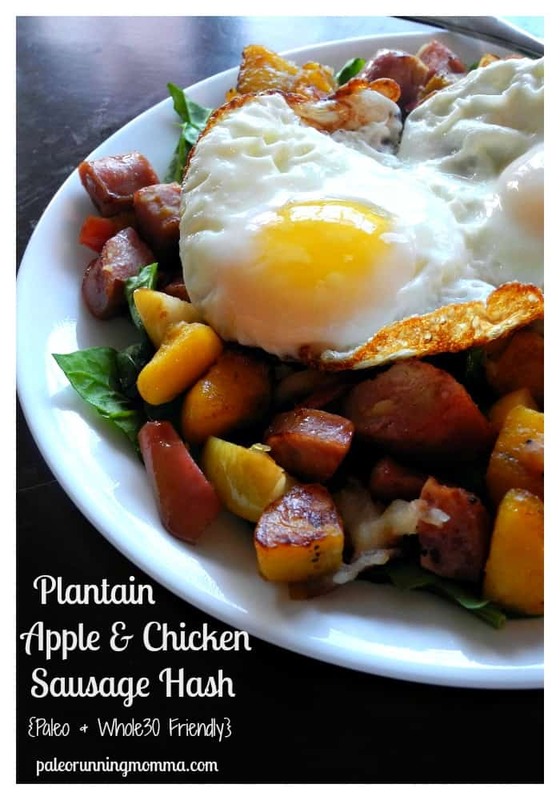 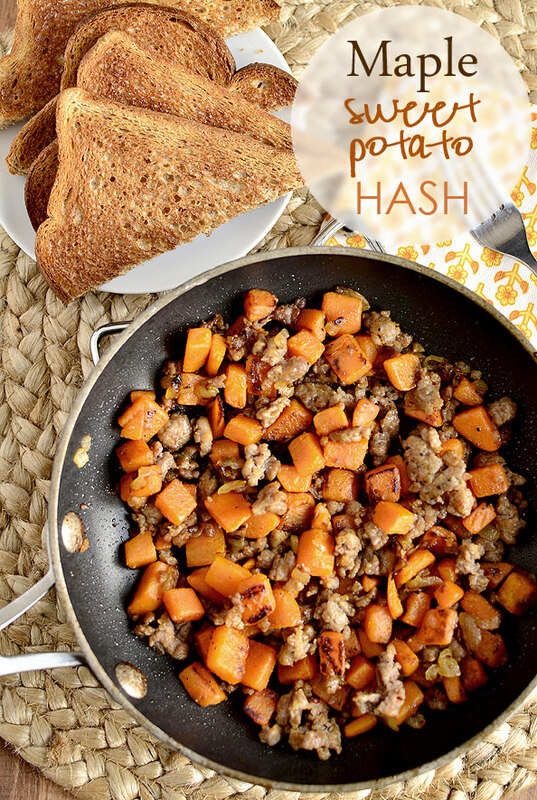 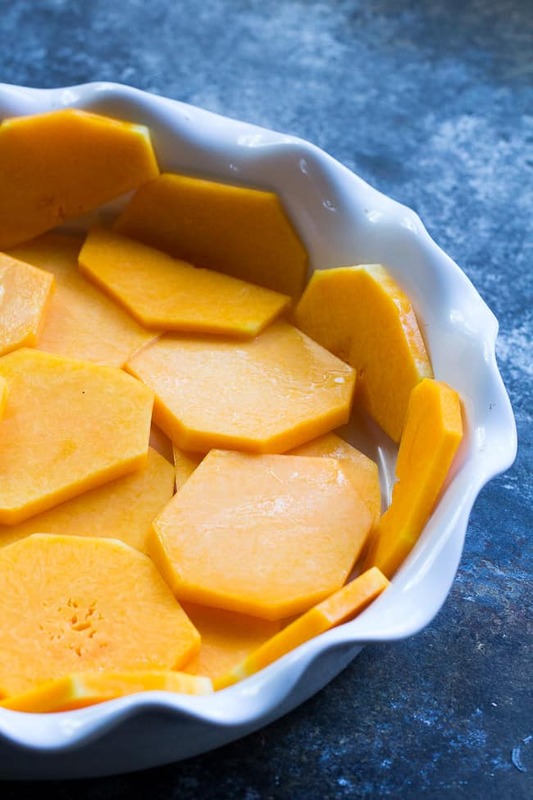 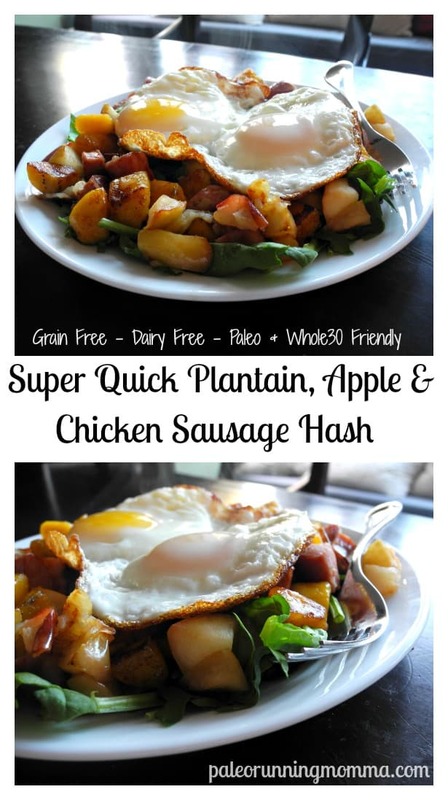 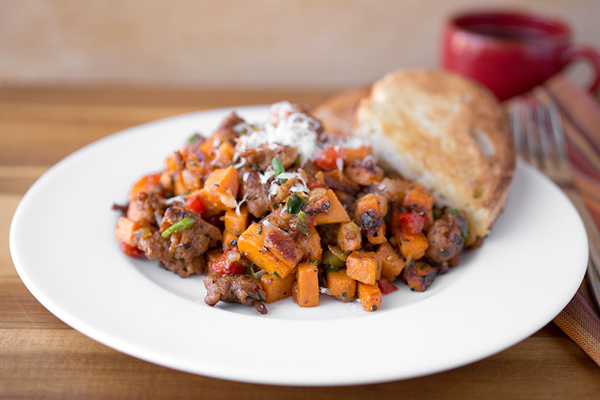 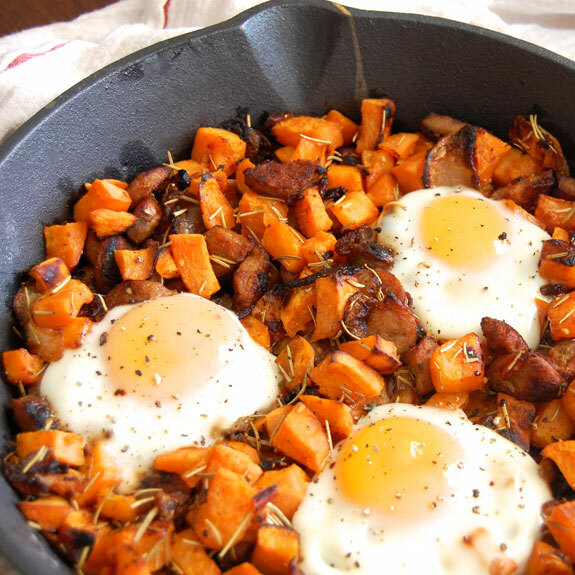 It's beyond delicious in a sweet potato hash, regardless of whatever else is in there, in my opinion. 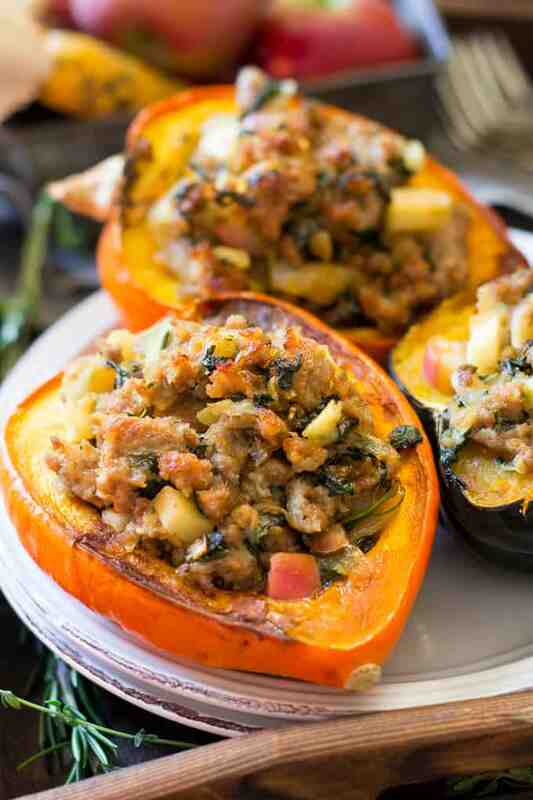 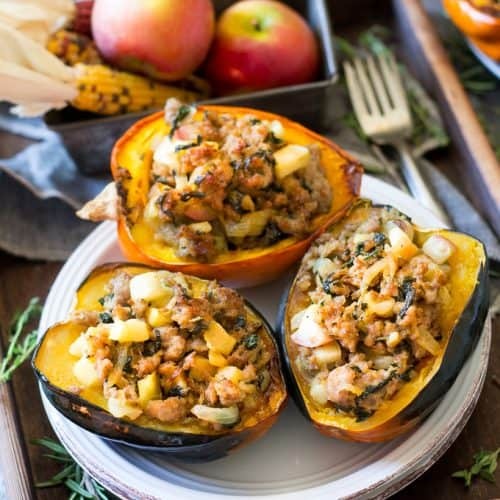 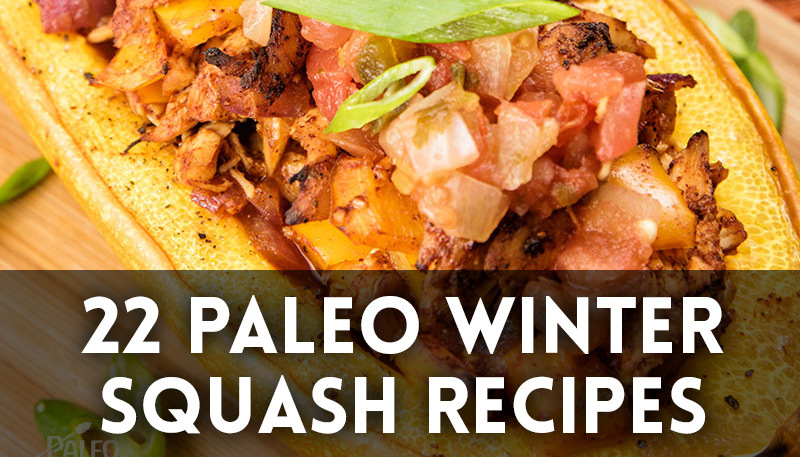 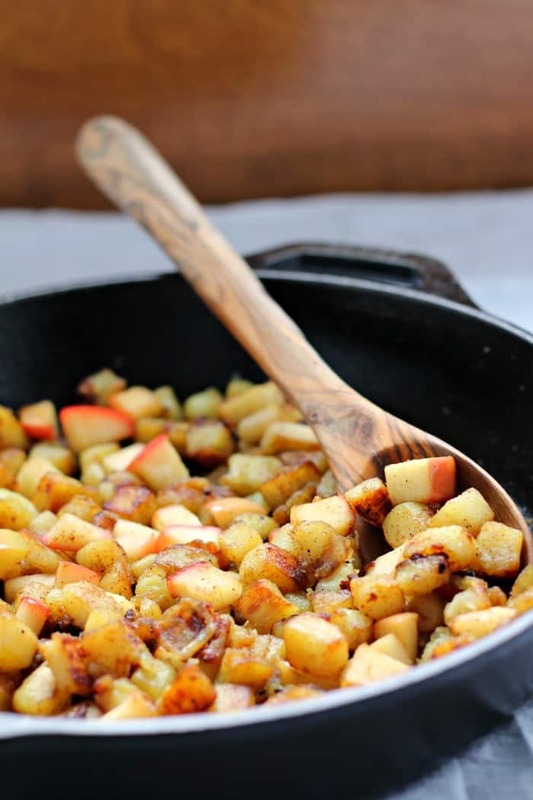 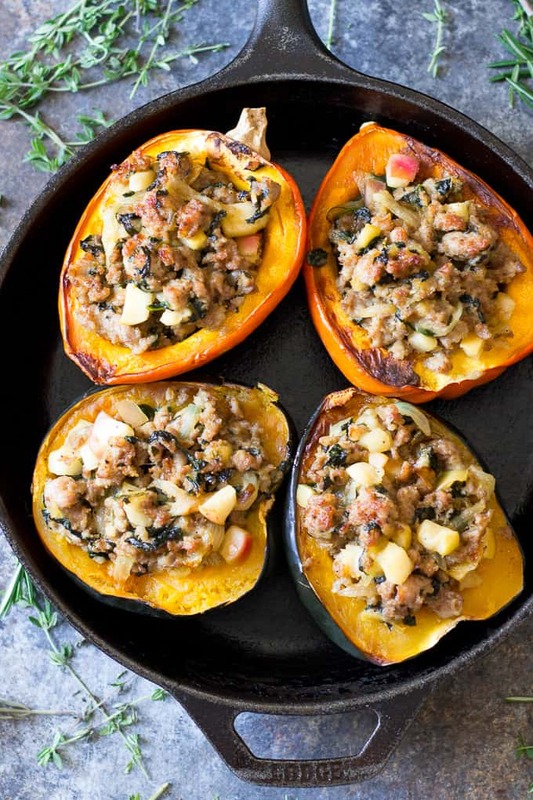 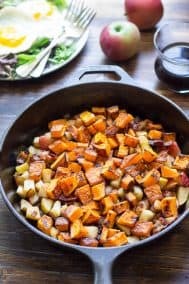 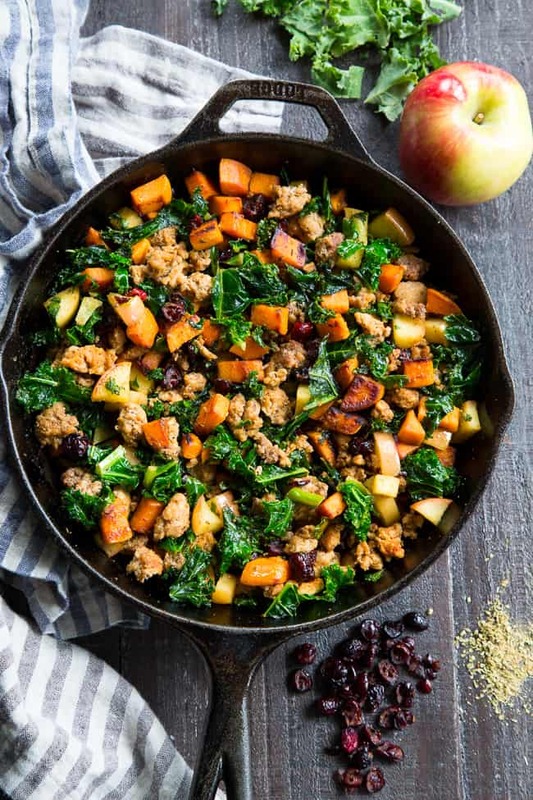 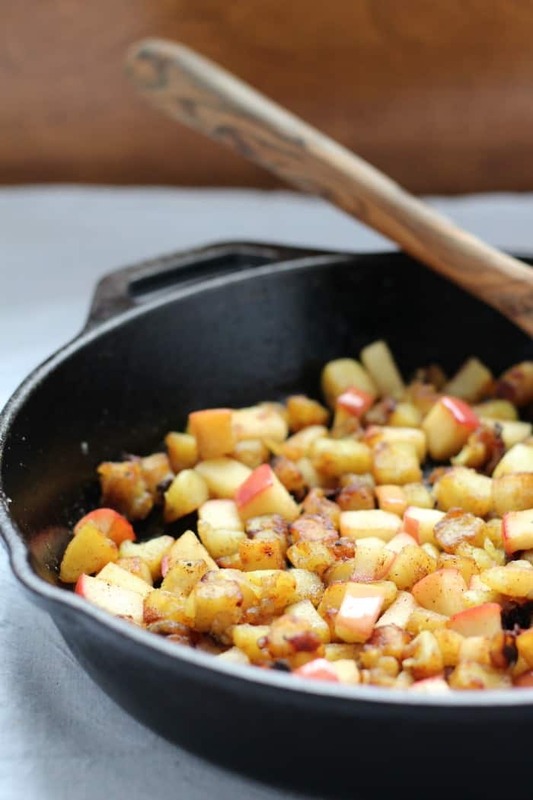 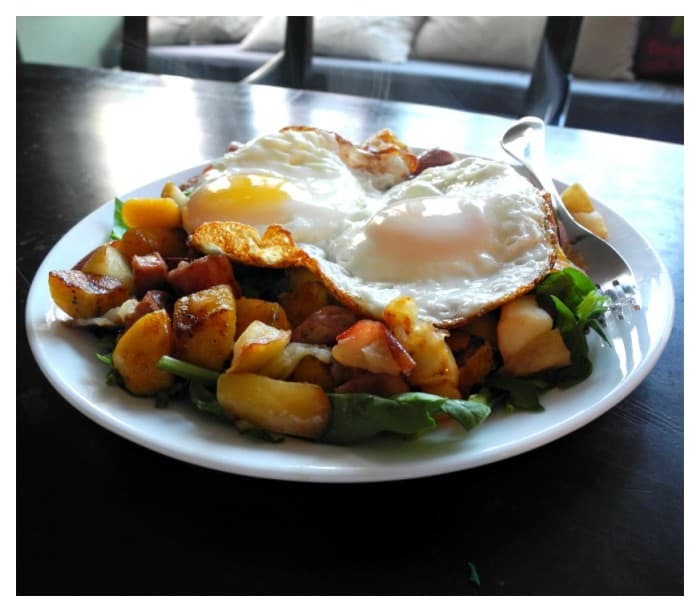 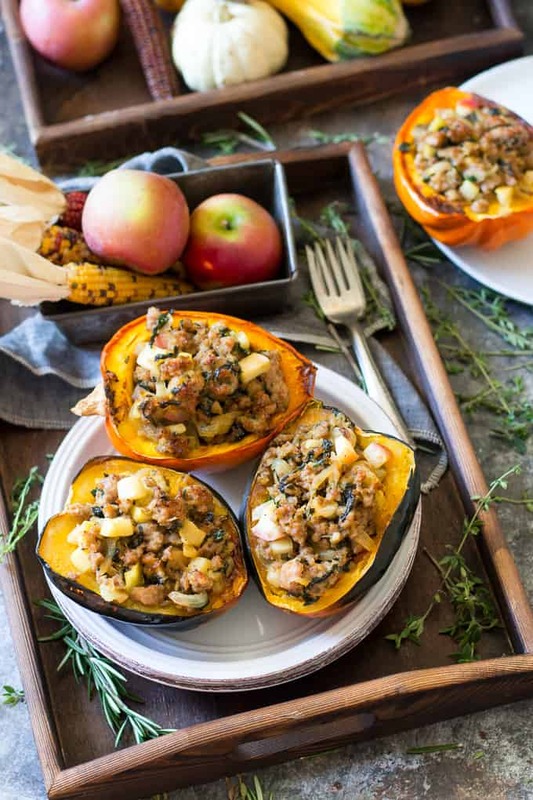 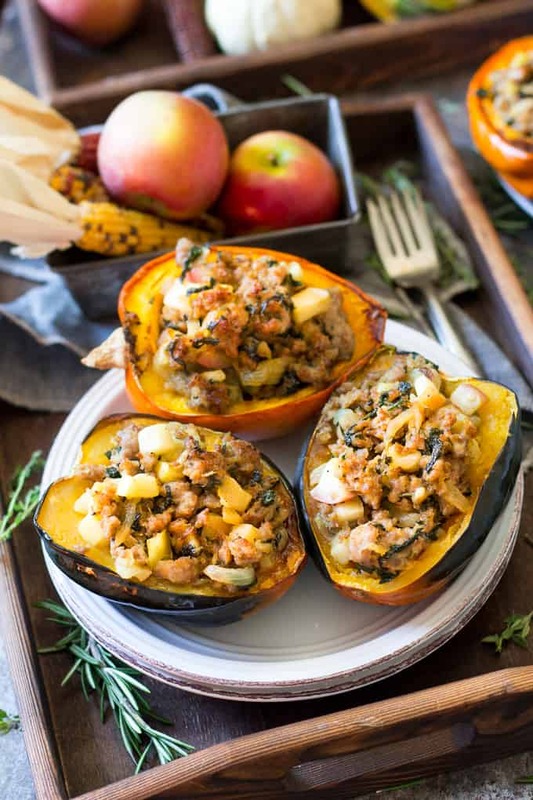 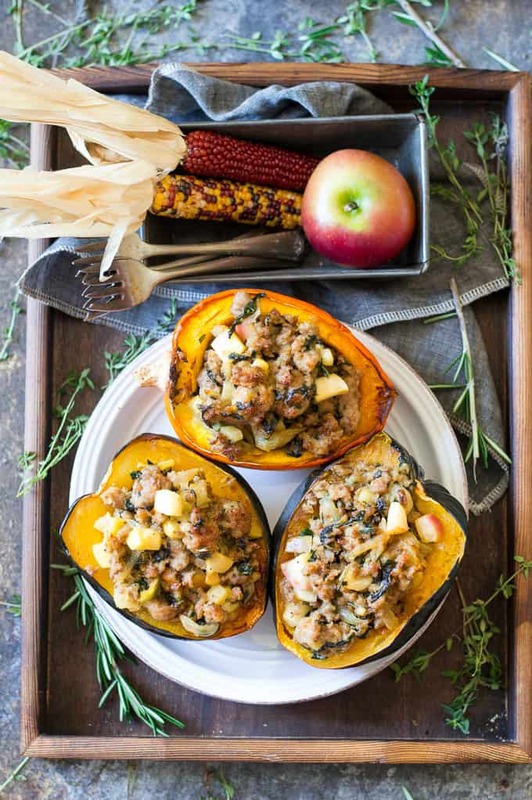 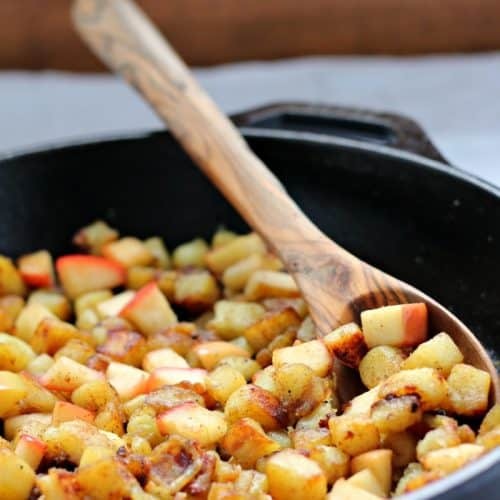 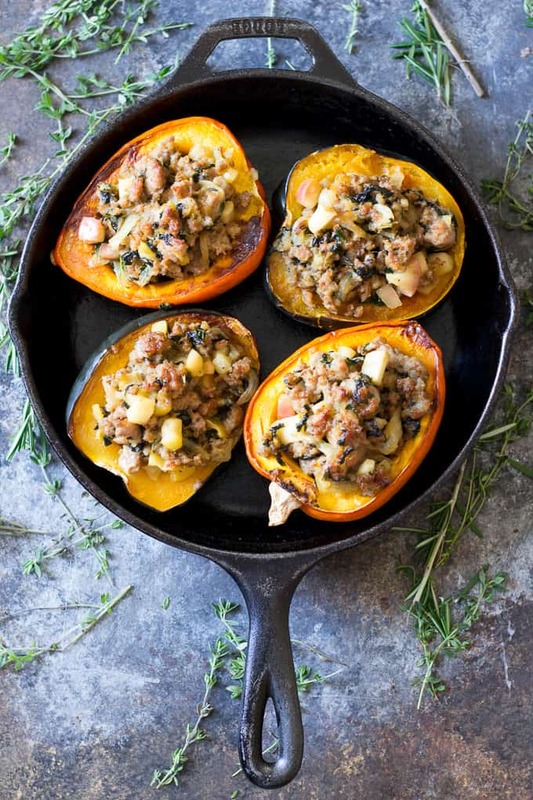 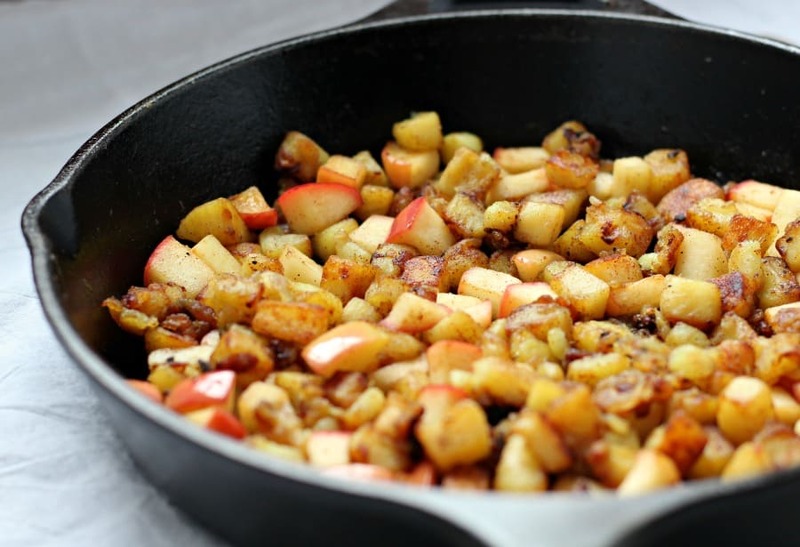 Paleo and Whole30 roasted butternut squash hash with apples, bacon, and caramelized onion.